I'm blown away with these images from the insanely talented Andrea Hunter Photography. Don't they look like something straight out of a dream? 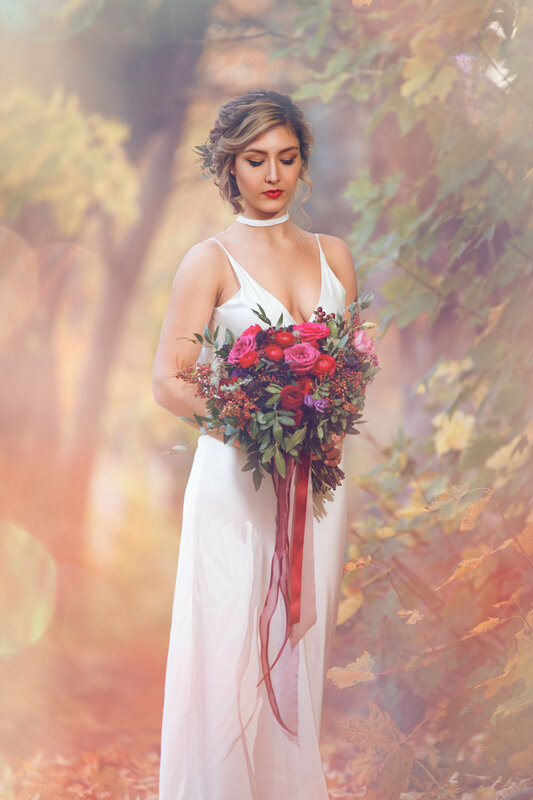 I worked alongside a stellar team of local vendors by designing a bouquet and bridal hair comb for this shoot. I'm a huge fan of a bridal hair comb as an alternative to a floral crown and often suggest them to brides who like the idea of flowers worked into their hair on their wedding day but aren't quite ready to commit to a floral crown. These images were shot last November, downtown Hamilton at Gage Park. 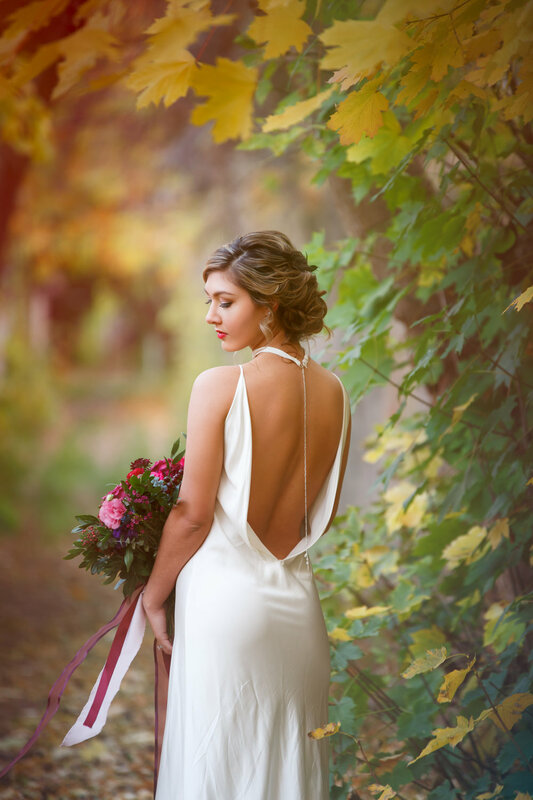 The changing colours of the Fall trees provide a beautiful backdrop for this stunning bride and her bouquet. Mint and Magnolia Floral Design Co. is a boutique floral design studio located in Grimsby, Ontario offering bespoke floral designs for weddings, and events in Hamilton, Halton and Niagara Ontario.